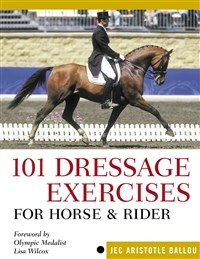 This comprehensive training manual offers expert tips and practical exercises for mastering a variety of dressage techniques. Jec Ballou is the author of 101 Western Dressage Exercises for Horse & Rider, 101 Dressage Exercises for Horse & Rider, and Equine Fitness. She is a national advisor to the Western Dressage Association of America and contributed to the current rules for the sport. She teaches clinics across the United States. She lives in Santa Cruz, California.